The quest to catch up on reviews continues! I read 14 books in September, and I'm talking about 10 of them today. 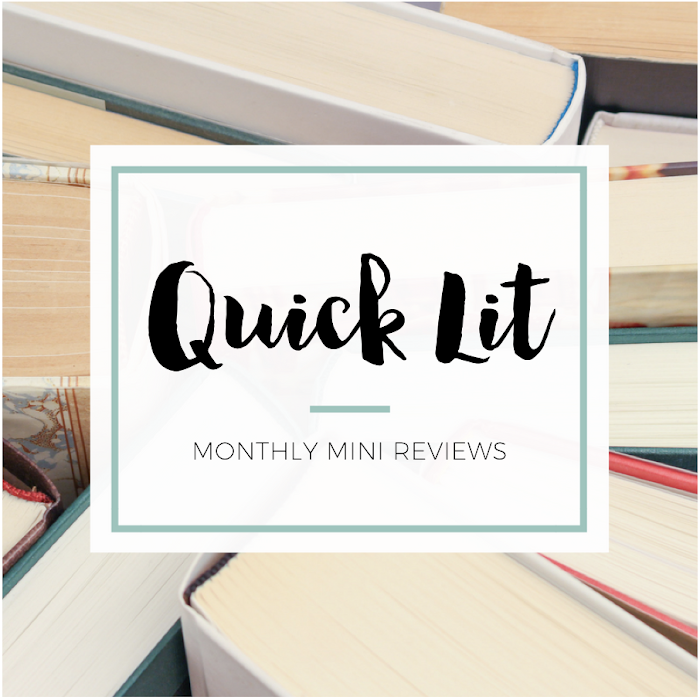 Two books in today's post were ones I read in August but included in this post so I could do a series review (hi, Lara Jean!). The other four books I read in September will show up in October's Quick Lit for similar reasons. As always, check out the Quick Lit linkup that's hosted by Modern Mrs. Darcy for more reviews and recommendations. 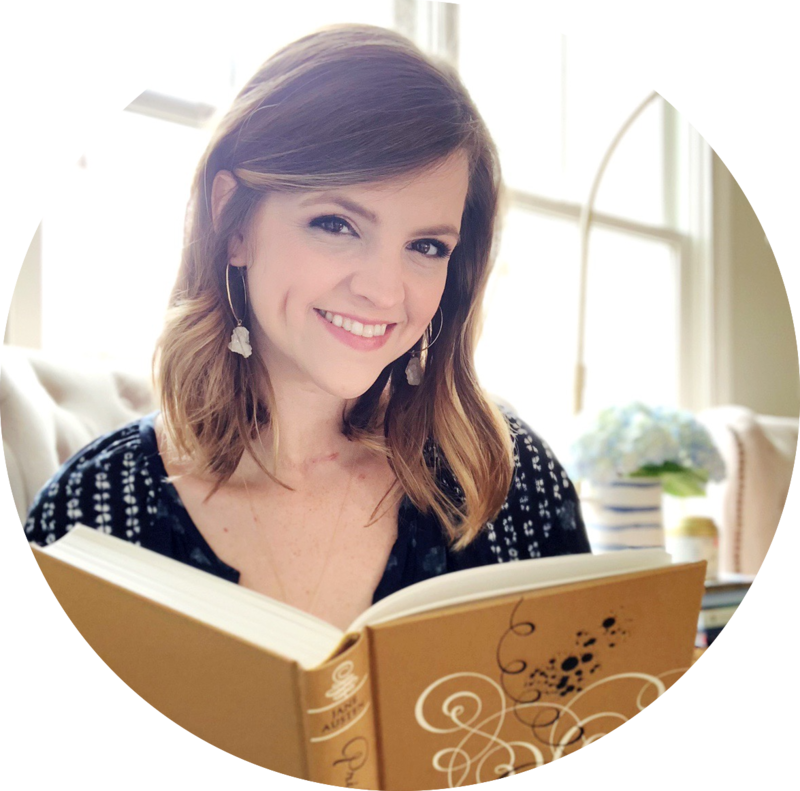 GIRL, WASH YOUR FACE BY RACHEL HOLLIS | I heard so many rave reviews for this book that I decided to check it out for myself. A few chapters did stand out to me, and I liked the overall idea that you need to take responsibility for making changes if you aren't satisfied with your life. But I struggled with how self-centered and materialistic Hollis came across. So much bragging! I didn't click with her, so her story just didn't resonate with me. I gave it an Okay when I finished it, but I think it's crossed over into a So Over It the more I've thought about it. ALL THE LITTLE BONES BY ELLIE MARNEY | I loved Marney's Every series and No Limits, so I was so excited that she published a new contemporary series. And the best part: it's set in a circus! Who can resist a teenage trapeze artist and strongman in training? I loved the romance because Marney totally delivered on the feelings, which is one of things she does best. The plot was probably the weakest element for me, and the ending definitely felt rushed. It wasn't my favorite from Marney, but I So Liked It enough to continue the series. I'D RATHER BE READING BY ANNE BOGEL | From the moment I saw the cover, I couldn't wait to get my hands on this book. I love Bogel's blog and knew this book was right up my alley. Bogel is at her best when she's writing about all things bookish! This collection of essays celebrating the "delights and dilemmas of reading life" was such a charming read. I think most book lovers will be able to find something to relate to in these pages, and it would make a great gift. I So Loved It, though I do wish there'd been more depth to it. JOSH AND HAZEL'S GUIDE TO NOT DATING BY CHRISTINA LAUREN | Here’s what I liked: some of the humor (though a lot was too crude for me), the two POVs, and the way it explored how men often love a manic pixie dream girl in theory but expect those women to change in reality. Here’s what I didn’t like: Hazel was just Too Much (but I know it’s part of her charm for others), a repetitive storyline that lasted too long, Josh & Hazel’s inability to be honest as things in their friendship changed, and a big development near the end. All in all, I was So Okay With It. THE IDENTICALS BY ELIN HILDERBRAND | This has one of my book hooks (sisters!) and book blahs (women around 40ish having a crisis), but I flew through it. The setting felt like a character, which I loved, and Hilderbrand deftly navigated the whole “difficult people that you’re somehow still rooting for” thing. The writing was engaging, though the book felt long. I was LOVING it until about 80% in and then the reveal felt anticlimactic, things were resolved so quickly, and the Epilogue was from the POV of the dog (?!?). I So Enjoyed It but was sad to end on a low note. THE SUMMER WIVES BY BEATRIZ WILLIAMS | This was one of my most-anticipated releases... and I slogged my way through it. I loved how Beatriz brought the setting and time periods to life, but that’s the only nice thing I can say. I found the romance so instant that the ending lacked emotional payoff, the characters had no depth, and the plot made me cringe. I’m not a fan of dual timelines, though Beatriz has been an exception, and this one reminded me why they don’t typically work for me. I wasn’t invested in anything and expected more. Sadly, I'm So Over It. WHERE THE CRAWDADS SING BY DELIA OWENS | The summary didn't appeal to me, but numerous rave reviews made me take a chance on it. I'm so glad I did! It was a blend of so many amazing things: a love letter to the natural world, the coming of age story of complex girl, a murder mystery with a dash of courtroom drama, and a moving exploration of loneliness and longing. It's the type of historical fiction where the setting feels like a character, which is my favorite. I laughed, cried, and wanted to soak up all of Owens’ prose. I'm So Obsessed With It. THE AIR YOU BREATHE BY FRANCES DE PONTES PEEBLES | It could have been 100 pages shorter, but I still liked the writing, structure, and what I learned about Brazilian music. However, the summary says there's an “intense female friendship,” and I struggled because they were so cruel to one another. It’s hard for me to invest myself in a friendship when two people seem bound to one another over a love of some thing — music, in this case — rather than love for each other. If what they had was friendship, I want no part of it. I think it's a tepid So Okay With It. STILL LIFE BY LOUISE PENNY | The Inspector Gamache series had been on my mental “I’ll get to it someday” list, but seeing people rave about them on bookstagram convinced me that I needed to read them sooner rather than later. And I’m so glad I did! The book was well written and character driven, which immediately drew me in. I loved the detailed observations because I could imagine this village and the people inhabiting it. While my early suspicions were confirmed, it didn’t lessen my enjoyment. This quiet Canadian mystery was a So Enjoyed It. Fun reviews! I've heard really mixed things about Girl, Wash Your Face, but the negatives definitely have convinced me that I wouldn't enjoy this one. I think Hollis would just rub me the wrong way. And I REALLY want to check out I'd Rather Be Reading. It's just too cute.